Today is International Mountain Day and Himalayas are the first thing comes in my mind then I think about mountains. This picture was taken during my trekking Annapurnas Circle trail near Ghorepani (Ghode Pani). 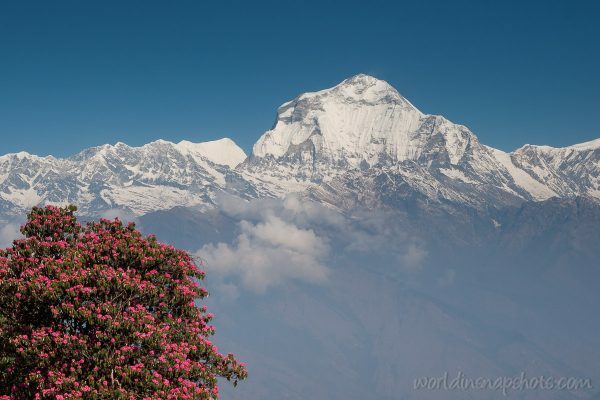 It was Rhododendron blossom season and Dhaulagiri mountain was shining in the background. You stay for days the and observing this view.